Celebrate St. Patrick's day with a handmade shamrock garland. 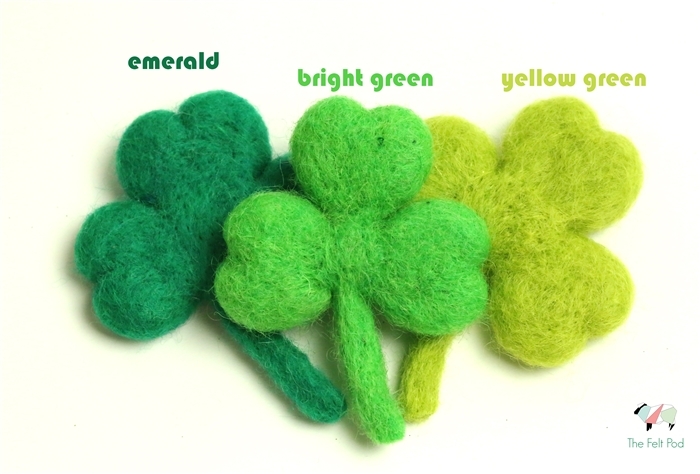 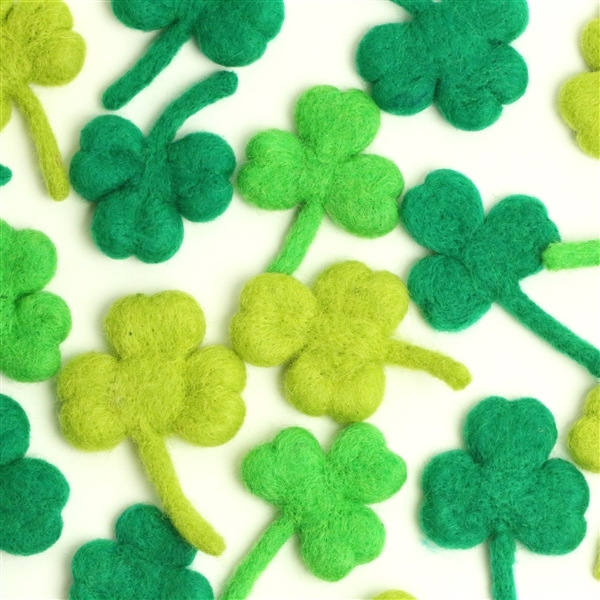 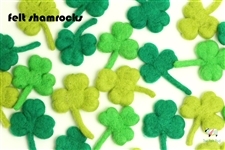 Our felt shamrocks come in 3 beautiful shades of green. These felt clovers are a nice large size,. 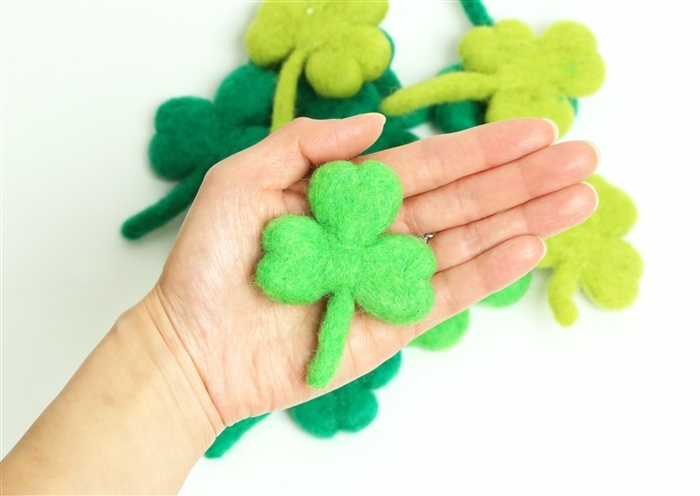 Each felted clover is about the size of your palm. ❉These are handmade and therefore no two item will be exactly the same. Sizes are approximate.